Jackson's Widowbird was formally described by Richard Bowdler Sharpe, an English zoologist and ornithologist who worked as curator of the bird collection at the British Museum of natural history. 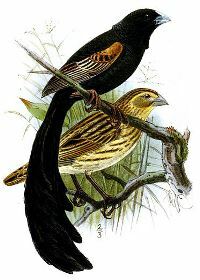 The Jackson's Widowbird was collected by Frederick John Jackson, an English administrator, explorer and ornithologist. In 1889 Jackson led an expedition designed to open up the regions between Mombasa and Lake Victoria, which was largely unknown to Europeans at that time, and if possible to obtain news of Emin Pasha. He travelled towards Lake Victoria, reaching Lake Naivasha in Sep, and continued up the escarpment to Lumbwa on 14 Oct 1889. Here Jackson obtained the first Jackson's Widowbird, a male. Jackson then went north and east to travel around the Lake Victoria to Mt Elgon, where he collected new bird species, including the Brown-capped Weaver (which was described by Sharpe a few months before describing this widow). On Jackson's return from Uganda through Kenya, along the Rift Valley lakes. He passed Lake Baringo in June 1890 and then collected more specimens of Jackson's Widowbird flocks in the grasslands near Lake Nakuro and again at Lake Elmenteita (the males were in breeding plumage). 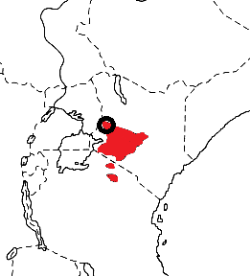 Jackson reached Lake Naivasha on 27 June 1990. The specimens from Nakuro and Elmenteita are labelled as 22 Jul 1890 but this should be June 1890, based on his travel itinerary. The first illustration of Jackson's Widowbird was of the male syntype, published by Sharpe (1891). 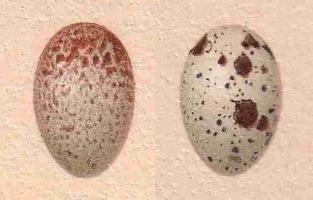 The next illustration was of the eggs of this species in Ogilvie-Grant (1910). Drepanoplectes jacksoni	Sharpe 1891a,	Ibis p.246, pl. 5,	Masailand, near Lake Nakuru, western Kenya Colony. jacksoni, Named after Sir Frederick Jackson (1860-1929) Governor of Uganda, 1911-1917, naturalist, collector, and author. Dancing Whydah, Jackson's Dancing Whydah, Jackson's Whydah. 14 October 1889 and June 1890. Masailand (Lakes Nakuru and Elmenteita, and Lumbwa), Kenya. Six syntypes are in the Bristish Museum (eg BM 1893.12.1.3), and Tervuren Museum. Identification. 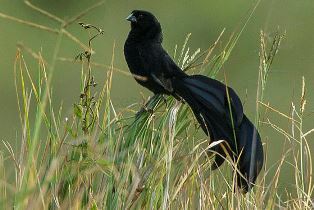 Jackson's Widowbird is restricted to the highland grassland in East Africa. The male in breeding plumage is black with a decurved tail of broad feathers, a tawny epaulet, and a pale bill. Non-breeding birds have an orange underwing - this is dark in the Long-tailed Widowbird and Marsh Widowbird. The female Jackson's Widowbird is brownish overall, pale buff to orange-buff below, with a heavy bill. Distribution. 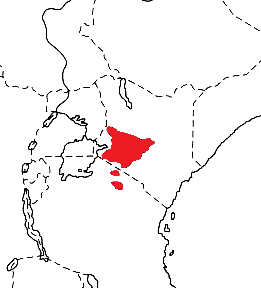 Jackson's Widowbird occurs in Kenya and northern Tanzania, with no subspecies recognised (see map below, based on Birds of Africa). It is locally common, but considered near threatened, since it's habitat is increasingly fragmented by agricultural development. Habitat. Jackson's Widowbird inhabits open grassland at 1500-3000m. Food. Jackson's Widowbird is always gregarious, and forages in mixed flocks even when males are in breeding plumage. It feeds on grass seeds, particularly Themeda triandra, and also Panicum species. Large flocks may damage crops in rural small-holdings. It feeds on termite alates which are hawked in flight. Breeding. Jackson's Widowbird is unique in the weaver family in having a lekking mating system. Males are solitary, polygynous and highly territorial. Males display at dancing rings which are circles of flattened grass around a central tuft of grass. Each male owns 2-3 dancing rings, and they trim and shape their tufts. Males display from mid-morning to late afternoon and then leave their territories to feed. When dancing, a male stands on his ring facing the central tuft and jumps energetically to various heights from a few cm to almost 1m (see YouTuube video below). A female flying over or watching from the grass nearby may then approach him. Once a female has chosen a male to mate with, she builds a nest by herself. The nest is a domed ball of woven grass with a side entrance, with living grass bent down over it to form a bower. 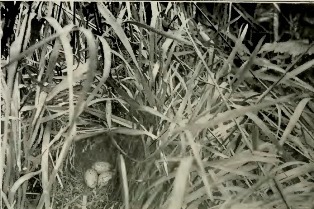 The nest is lined with grass seedheads. It is placed within 10cm of the ground in any grass tuft that is about 50 cm tall. Nests may be clustered, with more than 20 in a small area. The nest site is placed outside the male's lek area, but within 300 m of it. The female incubates the eggs and feeds the chicks with no help from the male. Chicks are fed on regurgitated grass seeds.